Selma “Penny” Monroe Hendryx was born on July 15, 1925 and passed away in Jefferson Parish on January 21, 2019 at the age of 93. She was preceded in death by her parents, Selma Roser Monroe and Bleaney T. Monroe, her sister, Ollie M. Attenhofer Ortiz. She was the wife of Timothy G. Hendryx, Jr. for 52 years in her first marriage, until his death in 1999, and by second marriage to Capt. Marvin L. Leonard, NOPD (Ret.) until his death in 2013. Springs, LA and stepdaughter Jean Ann Leonard Maloney and husband Sean of Metairie, LA. Mrs. Hendryx was a graduate of Sophie B. Wright High School for girls and worked for Fidelity and Deposit Company of Maryland, retiring after 33 years of service. 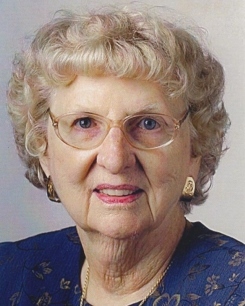 She was a lifelong member of St. Paul’s United Church of Christ, a member of the Covenant Nursing Home Auxiliary, and a member of the Order of the Eastern Star, Metairie Ridge Chapter No. 169. She published a book of poetry entitled “Simply Me in Simple Verse”. Sincere appreciation and heartfelt gratitude is given to the staff of the Jefferson Healthcare Center and St. Catherine’s Hospice, for their compassion and tremendous support at this difficult time. Relatives and friends of the family are invited to attend the Funeral Service at Tharp-Sontheimer-Tharp, 1600 N. Causeway Blvd. on Monday, January 28, 2019 at 11:00 am with visitation beginning at 10:00 am. Interment in Garden of Memories Cemetery. Condolences may be expressed online at www.tharpsontheimerhf.com. Information 504-835-2341. In lieu of flowers please donate memorial gifts to The Memorial Hall Foundation, 929 Camp Street, New Orleans, LA 70130, in memory of Mrs. Hendryx’s Great Grandfather, Mayor John T. Monroe or SpayMart Animal Rescue, P.O. Box 6493, Metairie, LA 70009.